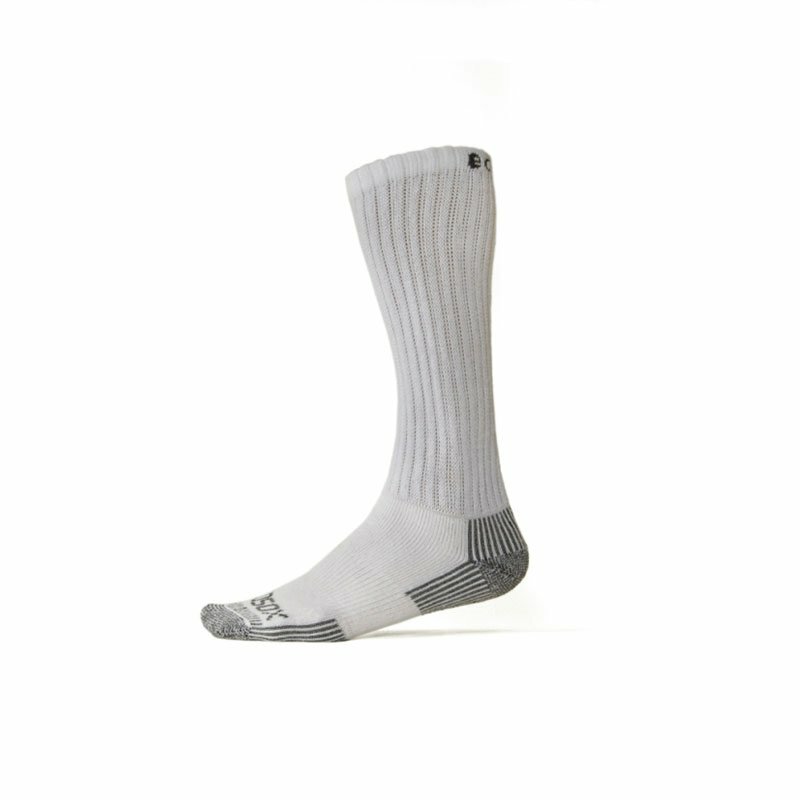 Ecosox Diabetic Bamboo Over The Calf Socks White/Gray LG pair are socks woven from bamboo, a natural fiber that is super soft, moisture wicking, and doesn't harbor odor. Ecosox bamboo socks are comfortable and cool for everyday wear. 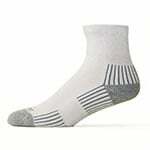 Ecosox Diabetic Bamboo Over The Calf Socks White/Gray LG pair are socks woven from bamboo, a natural fiber that is super soft, moisture wicking, and doesn't harbor odor. Ecosox bamboo socks are comfortable and cool for everyday wear. Ecosox not only look and feel good, but are also great for the environment! These are THE most comfortable socks I’ve ever worn. I bought a pair, just to try, for my 19 yr old grandson who has T1 diabetes and a pair for me who has problems with socks cutting into my legs. We both loved them as did my husband. So I bought us all more for Christmas.